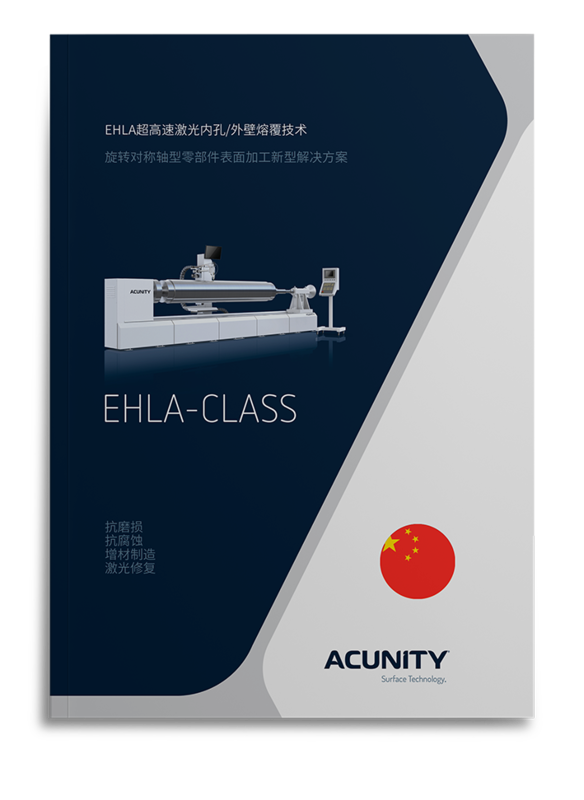 ACUNITY offers the world‘s most powerful EHLA machine concept and process know-how, replacing hard chrome plating, thermal spraying and conventional cladding. With our machines, the flexible coating, repairing or additive manufacturing for our customers becomes an in-house solution and part of our own value chain. We provide our customers with maximum support in introducing advanced manufacturing technology and associated equipment into their existing infrastructure. External cladding, Internal cladding, Hybrid system. High powder consumption due to low efficiency. Build-up rates in low and fluctuating quality. 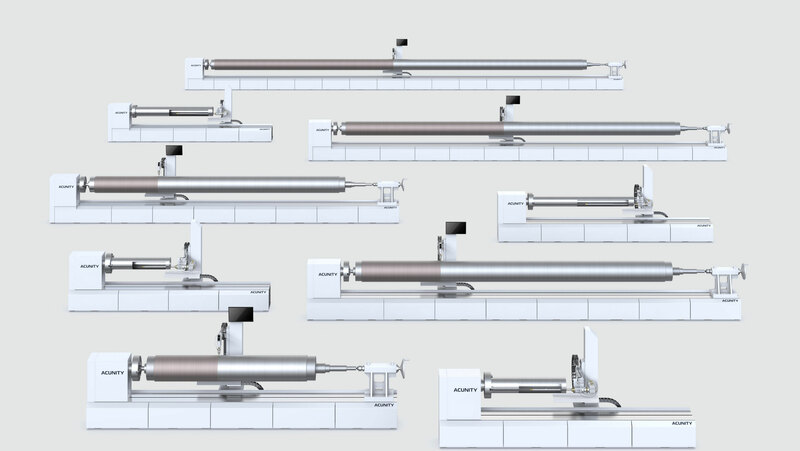 The design of the powder nozzle enables an exact build-up rate and an efficiency of up to 95 %. It is designed for different powder materials. High grade surface material may be carried by lower core material (e.g. low cost, tough, workable). The machines of the ACUNITY-EHLA class set new standards in terms of economy, productivity, surface design, environmental friendliness and resource efficiency. The included software is very powerful. It offers numerous solutions to build up surfaces and to offer you - via the pure coating - to offer many possibilities to rethink the design of the component's surface and to redesign. The ACUNITY GmbH was established by experts from Germany and China and offers for the international market beside the extensive machine program also the system integration and training. We provide our customers with maximum support in introducing advanced manufacturing technology and associated equipment into their existing infrastructure.